In this dynamic high-tech setting, all the information essential for your journey is displayed right before your eyes on the 12.3-inch configurable and customisable head-up digital display. The next generation PEUGEOT i-Cockpit® goes even further. 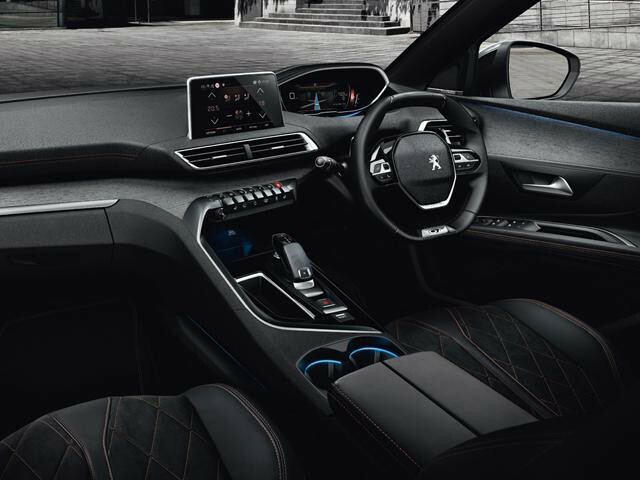 More quality in its presentation, more technology in its design, better connected, more intuitive, and takes personalisation to another level: it is the embodiment of what future driving cabins will be, and the materialisation of the Peugeot interior of today and tomorrow. The steering wheel is even more compact providing an intense, dynamic feel. The new two-spoke design offers better grip while it’s smaller diameter delivers heightened responses when cornering and provides better visibility of the key instruments. It also means less effort when making wheel-winding manoeuvres in town, such as a three-point turn or navigating car parks. A head-up instrument panel that displays all relevant information directly in front of the driver. The driver does not need to look away from the road and can fully concentrate on driving. This ergonomic position, made possible due to the compact proportions of the steering wheel, increases driver comfort by reducing tiredness. 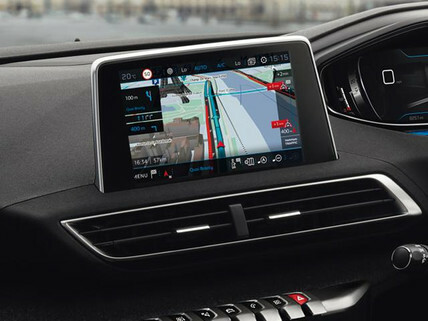 An impressive large touchscreen that intuitively displays all comfort controls (radio, air conditioning etc.) and offers easy access to all of the vehicle’s information and equipment. 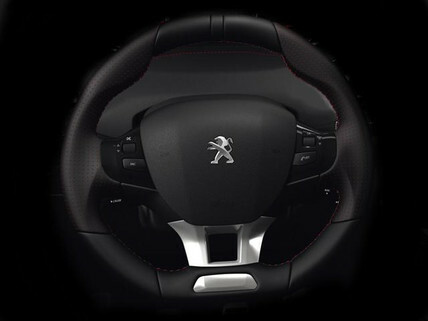 The PEUGEOT i-Cockpit® has reinvented the driving experience with an innovative and distinctive layout. 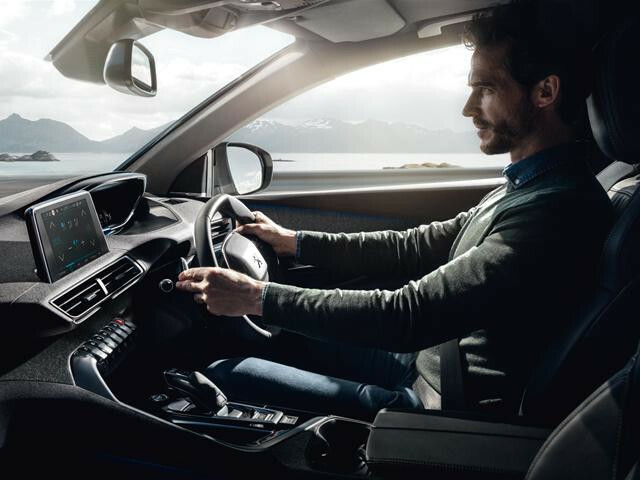 The compact sports steering wheel offers precise steering and improved manoeuvrability while the multifunction colour touchscreen puts all the functionality at the driver’s fingertips. 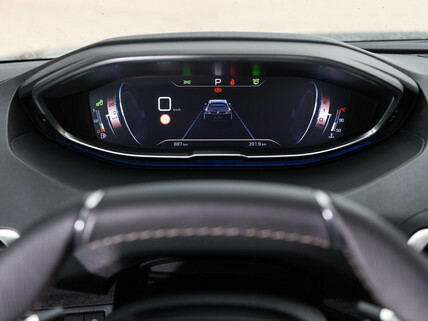 In addition, the head-up instrument panel allows driver information to be accessed without the need for the driver to take their eyes off the road.